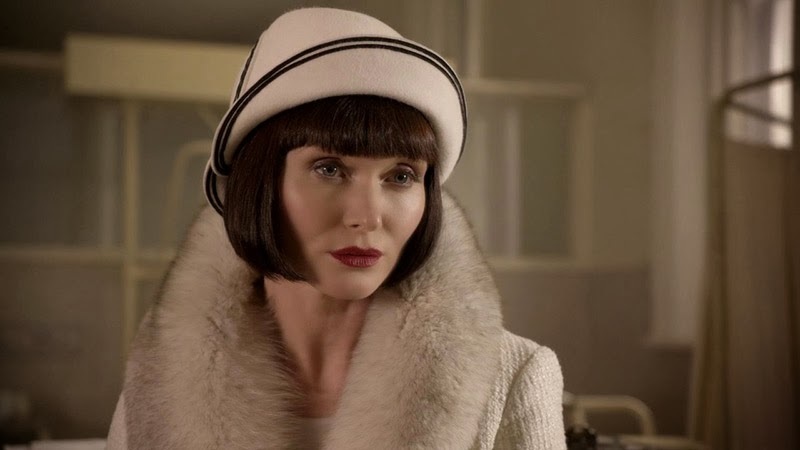 I was tipped off about this intriguing crime period drama from Solanah of Vixen Vintage and at the mention of 1920s wardrobe, my interest was instantly piqued! 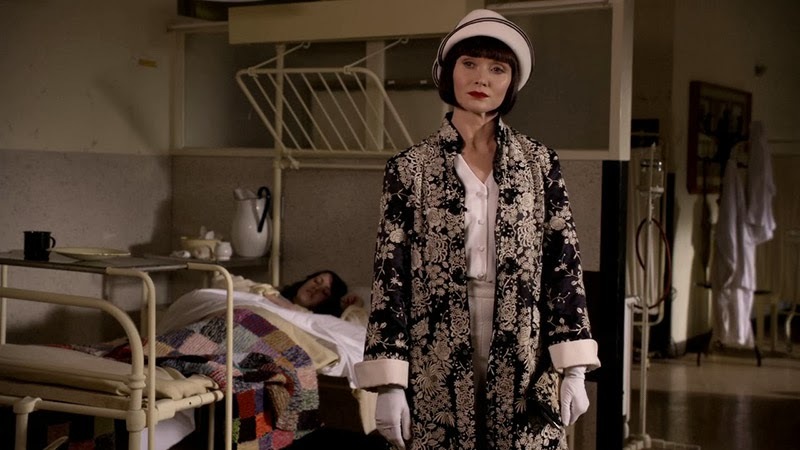 The show I speak of is the Australian series, Miss Fisher's Murder Mysteries, a crime series set in the 1920s. 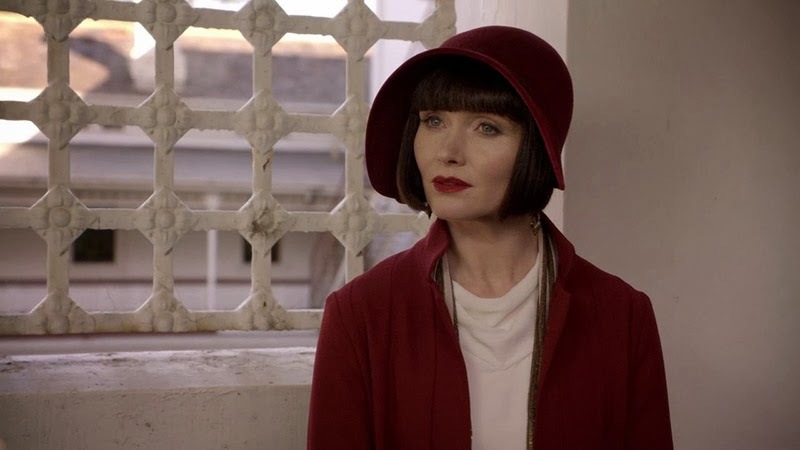 The series stars Essie Davis as the witty, sassy, and incredibly well outfitted flapper Phryne Fisher, who is also a female detective. 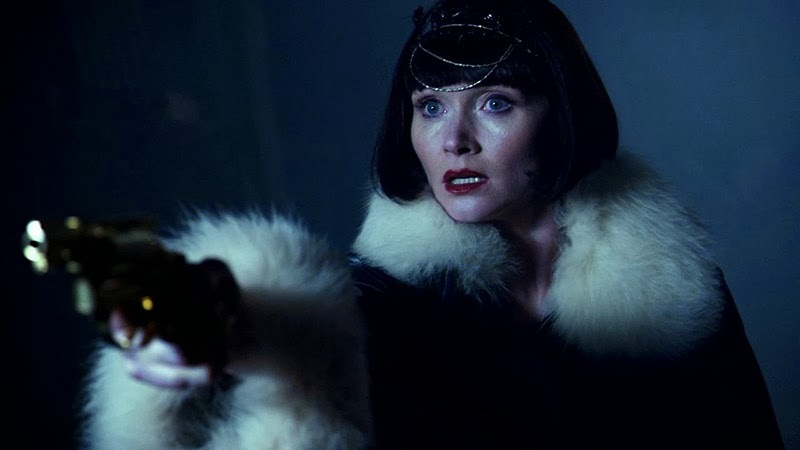 Nothing I like more than a historical mystery series while the main star runs about in fur trimmed velvet coats, floral adorned cloche hats, and conceals a blade and gold gun in her lace trimmed hosiery. 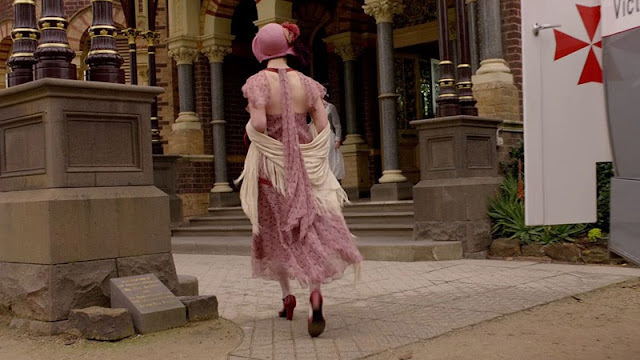 Here are some gorgeous screen caps from the show via Grande-Caps/Period Drama showcasing some of my favorite 1920s outfits from the show for episode 1, season 1. You really must watch it if you love 1920s fashion! 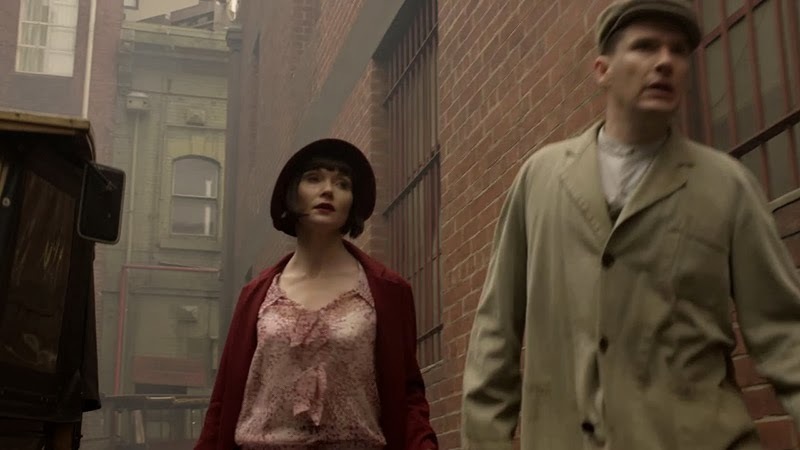 I'm getting into way too many shows set in the 20th century! Yes it is such an amazing show!!! :) :) I thought you would've known about it! Anyway if you're interested in another period drama we have Serangoon Road which is based in Singapore late 1960s... really lovely collaboration between Australian and Singaporean productions! I stumbled upon this on Netflix because I love mystery and period shows and I was blown away by the fashion. I just want to buy 100s of dollars in lingerie/robes and lounge around! That third photo is everything I have ever wanted in a hat! !